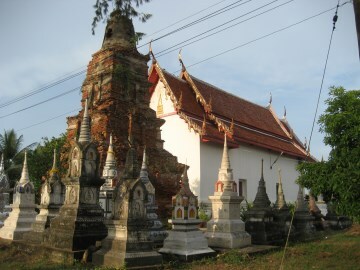 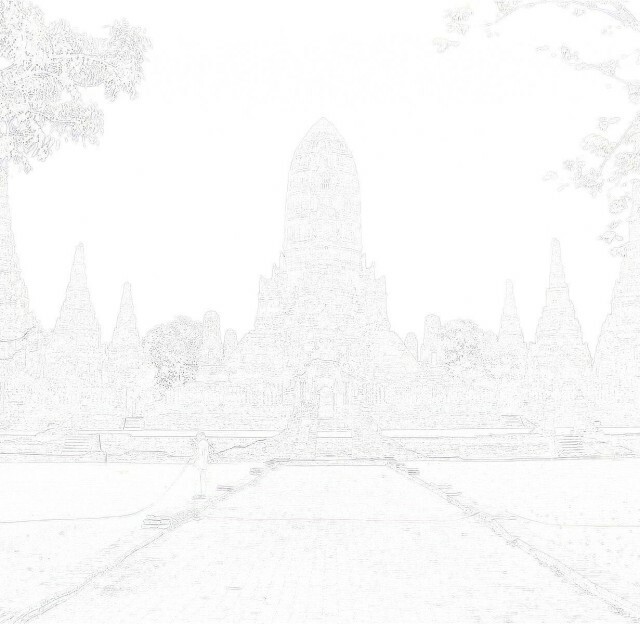 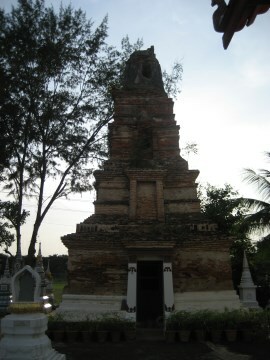 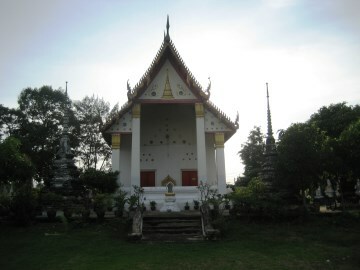 The courtyard of Wat Sanam Chai includes several chedi from the Ayutthaya period. 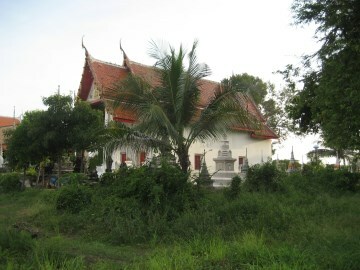 monastery was built at this location. 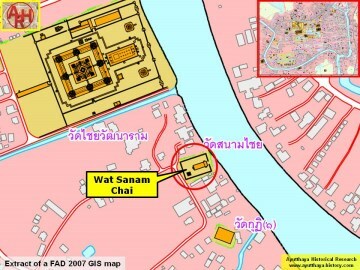 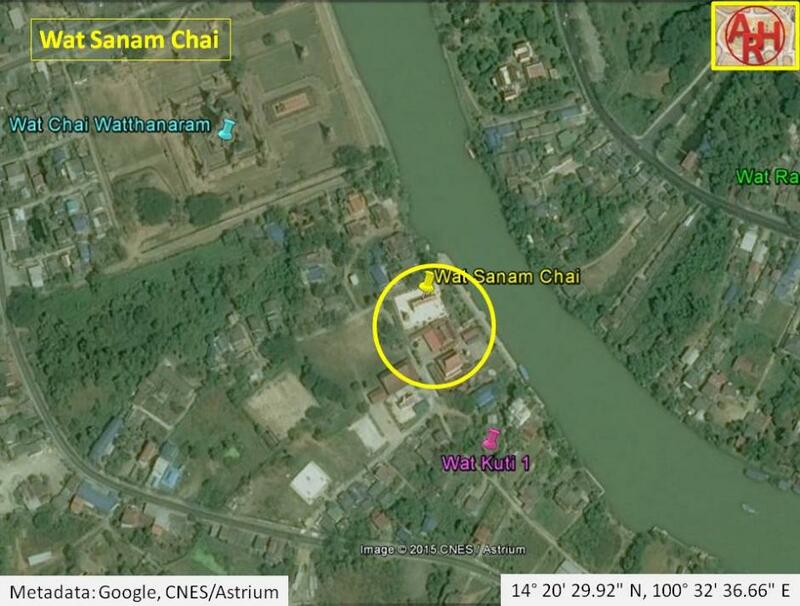 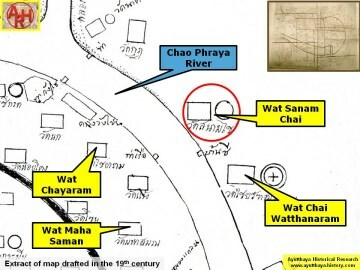 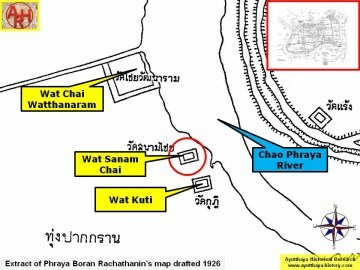 information about Wat Sanam Chai’s construction.